See something cute on your hand! 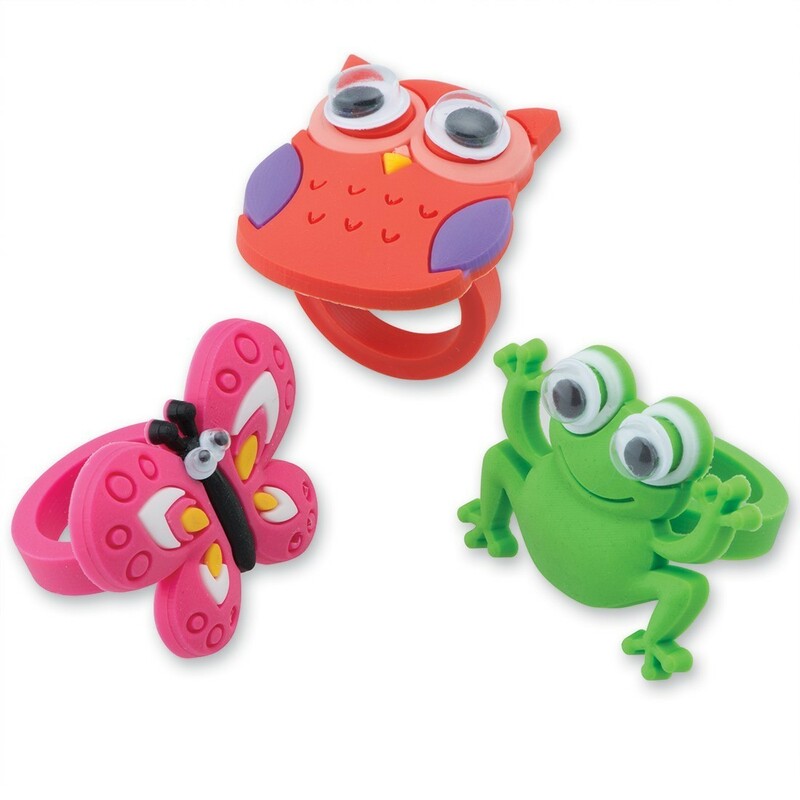 Our Cute Creature Rings are soft rubber jewelry that feature adorable frogs, butterflies and owls with wiggle eyes! With bright colors and fun designs, kids will love to pick this toy out of the treasure chest in your office!